Investment Objective: The investment objective of the scheme is to provide returns that closely correspond to the total returns of the securities as represented by the underlying index, subject to tracking error. However there is no guarantee or assurance that the investment objective of the scheme will be achieved. * Money Market Instruments will include Commercial Paper, Certificates of Deposit, Treasury Bills, Bills Rediscounting, Repos, short term bank deposits, short-term Government securities and any other such short-term instruments as may be allowed under the regulations prevailing from time to time having residual maturity up to 91 days. The Indiabulls NIFTY 50 Exchange Traded Fund will be managed passively with investments in stocks in a proportion that match as close as possible to the weights of these stocks in Nifty 50 Index. The AMC uses “passive” or indexing approach to try and achieve the Scheme’s investment objective. Unlike other Funds, the Scheme does not try to “beat” the markets it tracks and does not seek temporary defensive positions when markets decline or appear overvalued. The AMC does not make any judgments about the investment merit of a particular stock or a particular industry segment or the underlying nor will it attempt to apply any economic, financial or market analysis. Indexing eliminates active management risks with regard to over/ underperformance vis-à-vis a benchmark. • No Exit load will be levied on redemptions made by Authorized Participants / Large Investors directly with the Fund in Creation Unit Size. • Not Applicable -The Units of IBNIFTYETF in other than Creation Unit Size cannot ordinarily be directly redeemed with the Fund. These Units can be redeemed (sold) on a continuous basis on the Exchange(s) where it is listed during the trading hours on all trading days. The Scheme does not offer any Plans/Options for investment. During NFO Period: Rs. 5,000 per application and in multiples of Re. 1 thereafter. Units will be allotted in whole figures and the balance amount will be refunded. In case of investors opting to switch into the Scheme from the existing Schemes of Indiabulls Mutual Fund (subject to completion of Lock-in Period, if any) during the NFO Period and if the amount of application is in odd multiples, the application will be processed for the eligible amount and the balance amount will be retained in switch-out Scheme. 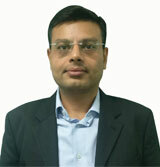 Mr. Malay Shah has 15 years of experience in the field of finance. He has exposure to Debt – Dealing and Fund Management. 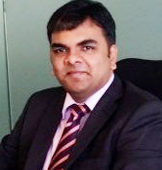 Prior to joining Indiabulls Mutual Fund, he was working in the capacity of Head – Fixed Income with Peerless Funds Management Co. Ltd, managing all the debt Schemes.